Contrary to what is often thought, the definition of diabetes has not changed, neither in design nor in its standard. We always defines diabetes by the level of hyperglycemia with a risk of specific complications: diabetic microangiopathy, and specifically diabetic retinopathy. This threshold is still set at a blood glucose above or equal to 2 g / L at the second hour of oral induced hyperglycemia. What has been changed, are diabetes screening conditions. Formerly, it was proposed to make it in two steps with a screening by assay of fasting blood glucose. When fasting glucose greater than or equal to 1.40 g / L, it was considered that there was no need to make an oral glucose tolerance because it would almost always confirmed the existence of a second blood glucose Time glucose tolerance greater than or equal orally at 2 g / L. When fasting glucose was less than 1.40 g / L, were advised to make an oral induced hyperglycemia. 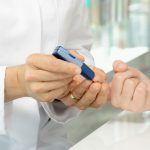 Given the epidemic of type 2 diabetes and the long asymptomatic nature of the disease justify universal screening simple technique, it has been proposed to stop using oral glucose tolerance outside of special cases and to define now diabetes by two upper fasting glucose or equal to 1.26 g / L (7 mmol / L). In doing so, the number of diabetics is not changed, but with a number of discrepancies by diagnostic method: 20% of patients reported diabetes by measurement of fasting glucose were not by the glucose tolerance, and conversely 20% of patients recognized as diabetic glucose tolerance are not by the assay of fasting blood glucose. Furthermore, we defined moderate fasting hyperglycemia to blood glucose between 1.10 and 1.26 g / L.
This moderate fasting hyperglycemia does not in itself involve a risk of microangiopathy, but it is a risk factor for macrovascular and above all it is a major risk factor for subsequent onset of diabetes and therefore justifies the implementation of preventive measures and regular monitoring. Pragmatically, it is tempting to define diabetes by high HbA1c greater than 6%. Indeed, several studies have shown convergent manner that the risk of diabetic microangiopathy appears for more than 6% HbA1c with an exponential correlation (30% risk per additional point HbA1c). If this decision is not taken at the international level is that the HbA1c remains imperfectly standardized (about 20% of assays performed in France are not reliable) and especially because the HbA1c remains a distant consideration for many developing countries. Finally, to assess the risk of diabetes, microvascular, macrovascular, there is no need to request an oral glucose tolerance but a fasting assessment including blood glucose, HbA1c, cholesterol, triglycerides, and HDL-cholesterol. 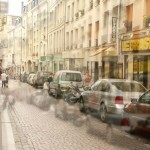 – Finally, very often in France, diabetes is discovered during a routine examination. Upon discovery of diabetes, the physician practitioner must ask the following questions. □ Is there an emergency requiring hospitalization? – If there is a septic context or acute stroke, or finally, if there is a foot wound. _ What is the etiology of diabetes? – The existence of a family history of autoimmune disease, however, in knowing that we found a family inheritance of type 1 diabetes that once out of 10. – Existence of family heredity found in 30-50% of cases. In intermediate situations, neither 1 nor 2, it may be necessary to seek an etiology. After eliminating type 1 diabetes slow (dosage of anti-GAD and anti-IA2) in particular are sought pancreatic diabetes (pancreatic cancer, chronic pancreatitis, hemochromatosis) or endocrine (Cushing) or medication (corticosteroids) or genetic (MODY diabetes, mitochondrial diabetes). If type 1 or type 2 diabetes typically, no additional examination etiological should be asked (or assessment of insulin or genetic markers or pancreatic imaging). However, in cases of type 2 diabetes, we must realize from the outset systematically investigated for other cardiovascular risk factors and possible complications of diabetes in the vast majority of asymptomatic cases: taking pressure blood, podiatric examination, lipid, fundus examination, electrocardiogram. The electromyogram is not part of the initial assessment and monitoring of a diabetic. A Doppler ultrasound of the supra-aortic trunks must be requested in case of high cardiovascular risk. A lower limb Doppler ultrasound arteries should be prescribed in case of clinical suspicion and / or the measurement of systolic blood pressure at the bedside, using a Doppler probe, shows a pressure against the ankle / arm pressure (MAP) <0.9 or> 1.30. Similarly, the search for silent myocardial ischemia should be requested only if clinically doubt or high cardiovascular risk (ie diabetic person over 50 years and with more than 20 years diabetes and having two risk factors associated with diabetes). The occurrence of diabetes complications correlates with glycemic control as can be measured by the A1C test. At one point in addition to HbA1c, corresponds to 30% risk of developing or worsening of retinopathy, nephropathy, neuropathy and distal arteritis. An HbA1c point more increases the risk of occurrence of myocardial infarction by 10 to 15%. The risk of macrovascular disease is more strongly correlated with high blood pressure, dyslipidemia, smoking, to family inheritance that hyperglycemia is primarily an aggravating factor. Complications of diabetes should be routinely screened, treated and monitored, since they are most often symptomatic. Conventionally distinguished microvascular and macrovascular disease. It combines retinopathy, nephropathy and diabetic neuropathy. As long as the macula is not affected, there is no warning symptoms. 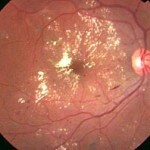 This requires that the patient has a fundus examination with the slit lamp or fundus photography every year. However, if the HbA1c is less than 6.5%, if the blood pressure is below 130/80 mmHg, we can consider that surveillance of the fundus every 2 or 3 years is sufficient. The onset of clinical signs of diabetic nephropathy is late: lower limb edema, hypertension. We must look incipient nephropathy by measuring microalbuminuria. This assay can be done on a single normal value for urination with microalbuminuria below 20 mg / L. Only if microalbuminuria is above 20 mg / L during urination in the laboratory, it is appropriate to request a determination on 24-hour urine, reliable collection which is difficult to obtain. Before concluding that the existence of diabetic nephropathy, we will confirm the elevation of albuminuria on a second assay, check the normality of the urine culture and ultrasound of the kidneys and urinary tract (kidney size is normal or increased in diabetes). Treatment of diabetic nephropathy involves primarily antihypertensive treatment with a target blood pressure below 130/80 mmHg. Blockers of the renin-angiotensin system (angiotensin converting enzyme inhibitors and ARBs) have shown a specific benefit in slowing progression to ESRD. It is characterized in the vast majority of cases by its asymptomatic nature. It must again be detected by a simple examination to repeat systematically every year: the perception of the monofilament 10 grams, applied at the ends of the toes and under the metatarsal heads. The non-collection of the monofilament indicates increased risk (relative risk = 5) occurrence of plantar evil and justifies preventive measures particularly patient education. It concerns the coronary arteries, cervicocérébrales and lower limbs. The main characteristic of myocardial infarction in diabetic patients is often a painless character. It is against rarely asymptomatic, may be by signs of heart failure (fatigue, exertional dyspnea …). Mortality is twice in diabetic patients compared to non-diabetic. However, it has significantly improved through intensive treatment with revascularization, heparin, anti-platelet, β-blockers, angiotensin converting enzyme inhibitors and statins. This shows the importance of screening for silent myocardial ischemia electrocardiogram or stress thallium scintigraphy or myocardial échodobutamine persantine-diabetic patients at high cardiovascular risk, ie elderly diabetic patients over 50 years or with diabetes evolving for over 20 years, with two other cardiovascular risk factors. The strokes are also more common in diabetics. This is most often ischemic accidents or incomplete, rarely bleeding.They seem to confirm that hyperglycemia promotes the transformation of the area into darkness peri-infarct necrosis, aggravating the vital and functional prognosis. It therefore seems essential to correct hyperglycemia during the onset of a stroke in diabetic patients and in non-diabetic. Finally, diabetes is a major cause of occurrence of peripheral arterial disease characterized by its topography popliteal occlusion with 2 or 3 axes but with legs frequently a reversal of the dorsalis pedis artery. This is often asymptomatic distal arteritis because of its association with diabetic neuropathy, so there is often no intermittent claudication and arteritis is revealed immediately by a trophic disorder. Must therefore systematically detect the existence of arteritis. However, Doppler ultrasound of the arteries in the lower limbs is not justified when the pulse is normally seen with trophic skin and normal skin appendages. Conversely, the absence of a pulse or a clinical question merits requesting a Doppler ultrasound of the leg arteries. – Originally a diabetic foot wound, there is always a trauma or hurtful injury (shoes, bunion, partridge-eye, pedicure, fungus, ingrown toenail …) but in the absence of pain, trauma or injury that have gone unnoticed. Yet they could have been avoided! – Prevention depends on the education of patients at risk, each diabetic patient should receive an annual foot exam to graduate the podiatric risk. – Grade 3 when there is a history of piercing pain. Patients with grade 2 and 3 must receive an education, specialized care and a foot exam at every visit. – Whether there is a renal and cardiovascular risk by asking the dosage of microalbuminuria. The goal of diabetes treatment is to prevent complications of the disease while maintaining a quality of life acceptable to the patient. The therapeutic concepts of type 1 and type 2 diabetes diabetes have recently moved together in seeking to get closer to physiology. – Then during the meal, the cells secrete a â insulin spike adapted to the composition of the meal, especially with the amount of carbohydrates with a rough proportionality between the amount of carbohydrates ingested and secreted insulin levels. We will mimic the prandial insulin secretion by rapid bolus injections of insulin (fast analogue: Humalog ® or Novo Rapid®). The universal treatment regimen of type 1 diabetes is a basal regimen – prandial by multiple injections or portable pump. 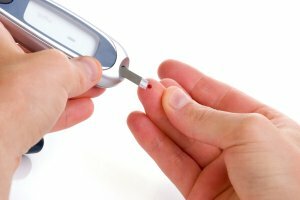 Insulin-dependent diabetic patient must learn to adapt its doses of insulin depending on eating carbohydrate intake, and depending on the capillary blood sugar measured before the meal. It must also measure his blood sugar at bedtime and if possible in the middle of the afternoon to make if necessary an additional injection of insulin in type of therapeutic patch. At this price, the patient may have the feeling of controlling his disease with HbA1c less than 7.5% without increasing the risk of severe hypoglycaemia. 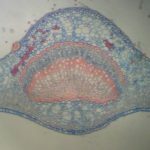 Treatment of type 2 diabetes is also evolving, through better understanding of the pathophysiology of the disease.Indeed, type 2 diabetes is the consequence of three anomalies: muscle insulin resistance with decreased glucose uptake and decreased glycogen synthesis, decreased hepatic insulin sensitivity with increased gluconeogenesis and hepatic glucose production, and failure of insulin secretion. In addition, there is a progressive disease characterized by progressive insulin secretory deficit whose mechanism remains unclear with a functional hand and probably a reduction in β cell mass. Treatment should begin with improved nutritional balance and an increase in physical activity. If despite these lifestyle measures, HbA1c remains above 6%, it makes sense to prescribe Metformin decreases hepatic glucose production. If despite this monotherapy, HbA1c is above 6.5%, it makes sense to introduce a dual therapy or sulfonylurea + metformin, or by the new association glitazone + metformin. If despite this combination therapy well conducted with satisfactory adherence and despite the efforts hygienodietetic patient, HbA1c at or above 7%, should be considered triple therapy before discussing the use of insulin therapy that is needed if HbA1c continues to rise in the absence of weight gain. They are discerned in Boxes 1-3. Ketotic decompensation of diabetes type 1 or type 2 diabetes during a medical stress (severe infection, ischemic stroke …). Before any major hyperglycemia than 3 or 4 g / L, look ketonuria indicating insulin deficiency. The presence of ketonuria indicates the urgent appeal to insulin regardless of the carbohydrate intake per patient’s bone. If the patient vomits, or if there is a serious medical reason behind this ketosis, hospitalization is required. It may be due to insulin or sulfonylureas. The main risk of hypoglycemia secondary to insulin is traumatic order. Therefore insulin dependent diabetic patient must always have the equivalent of 3 sugar at hand. It should always inspect to its capillary glycemia in situations where hypoglycemia could have serious consequences (especially before taking the wheel of the car …). Insulin dependent diabetic should be at home, at his place of work and possibly recreational, glucagon (Glucagon) for injection for severe hypoglycemia with inability to resucrage orally. Hypoglycemia as sulfonylureas is often more serious because the land on which it occurs (senior, vascular). It is seen especially in early treatment. It is therefore essential to start with low doses of sulfonamides, and will increase very gradually. She readily occurs in the late morning and especially in order to afternoon. The patient must be warned that he should not take his sulphonylurea if he does not eat. 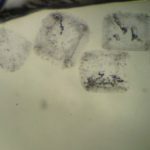 It must also have the equivalent fingertips 3 sugar cubes or 15 grams of carbohydrates. The elective field of hypoglycemia is malnourished renal insuffi health elderly. Myocardial infarction in diabetic patients should receive the same care as in non-diabetic patient. We must think of myocardial infarction in a diabetic suddenly presenting asthenia or dyspnea on exertion or digestive signs or even a simple unexplained imbalance of diabetes. Finally, a foot wound in a diabetic is an emergency and first medical emergency. 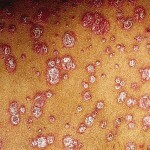 The late diagnosis and delayed treatment are largely responsible for the severity of lesions that can lead to amputation. The first thing to do is the absolute landfill wound. Prevention of diabetic foot lesions assumes an annual foot examination to a gradation of risk. Are at risk patients with a history of bad perforating, patients with neuropathy associated with arteritis or deformation. We must distinguish diabetes before pregnancy and gestational diabetes true. The main problem of diabetes before pregnancy is the need for a perfect balancing of diabetes before conception. This perfect equilibration of diabetes involves the use of insulin therapy with 6-8 daily glycemic control and insulin if necessary additional injections. Diabetic woman of childbearing age should be warned of the risk of fetal malformations when conception occurs in hyperglycemic milieu. The perfect glycemic control should be extended throughout pregnancy up to and including delivery to prevent macrosomia and neonatal hypoglycemia and its consequences. Gestational diabetes, which occurs around 26 weeks of pregnancy and usually disappears after pregnancy, corresponds to a simple maternal hyperglycemia may be responsible for fetal macrosomia. It should be routinely tracked by an oral glucose tolerance or pragmatically by a blood glucose fasting and two hours after the start of the meal. All fasting blood glucose greater than or equal to 0.90 g / L or postprandial glucose levels (90 to 120 minutes after starting a meal) greater than or equal to 1.20 g / L, should be considered to be abnormal during pregnancy , ant justified in the first place the establishment of a moderately restrictive diet with fragmented taken and if necessary the use of insulin therapy. – Greater than 130/85 mm Hg blood pressure. – Preferential choice for drugs improving insulin resistance, such as antagonists of the renin-angiotensin system (angiotensin converting enzyme inhibitors or angiotensin II receptor antagonist) for the treatment of high blood pressure, fibrates for the treatment of dyslipidemia ( and statins if LDL-cholesterol is higher than 1.30 g / L), metformin and / or a glitazone if blood glucose levels rise. In both types of diabetes, the patient’s role in the conduct of the treatment is essential. To do this, it is essential that the patient practice the way multi-daily self-measurement of blood glucose in type 1 diabetes, with a frequency tailored to the targets in diabetes type 2. It is around the discussion of the difficulties to follow treatment, the frequency of blood glucose self-checks, therapeutic algorithms to be applied according to the results, that is tied therapeutic alliance between doctor and diabetic patient. The goal of therapeutic education is to enable the patient to manage his treatment with the help of medical staff. In all cases, the equilibrium goal of diabetes remains less than 7% HbA1c. Beyond that, we must review the treatment and seek the help of doctors and paramedical specialists. – Statistically, blood glucose 7 pm (19 hours) regularly about 7 mmol / L is an HbA1c of 7%.